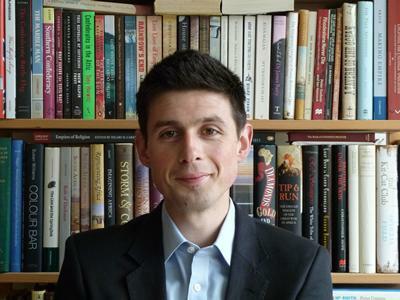 Dr John McAleer is an Associate Professor in History at the University of Southampton. I am a historian of the British Empire. My work focuses on the British encounter and engagement with the wider world in the eighteenth and nineteenth centuries, situating the history of empire in its global and maritime contexts. I am interested in the relationships, interactions and patterns of exchange created by the British Empire, and in assessing the impact of these experiences on both British and colonial societies. Before joining the Department, I was Curator of Imperial and Maritime History at the National Maritime Museum, Greenwich. During my time at the museum, I worked on the development and delivery of two gallery projects, focusing on Atlantic and Indian Ocean history respectively. I continue to be interested in the role of material culture and museums in representing the history of empire. My research is directed towards understanding, assessing and evaluating Britain’s place in the wider world: the manifestation and impact of empire on British society and culture; its effect on ‘peripheral’ communities (and vice versa); its fundamentally entangled nature (geographically, politically, ethnically); and the nature of the relationship between science, material culture, exploration and empire. My latest monograph, Britain’s Maritime Empire: Southern Africa, the South Atlantic and the Indian Ocean, 1763–1820, explores the ways in which British networks and institutions, such as the East India Company, facilitated linkages and connections in the wider Indian Ocean world. This work aims to problematize and re-evaluate notions of ‘core’ and ‘periphery’ by considering the British presence in the southern Atlantic and Indian Oceans, especially the Cape of Good Hope, St Helena and Mauritius. Building on this work, I am also interested in the contribution of islands to the development of the British Empire. This is a theme that I am actively exploring through an AHRC-funded network, ‘An Empire of Islands: Concepts, Connections and Collections’. I also have a long-standing interest in the history of museums, collecting and their complex relationships with empire, both historically and today. An edited collection entitled Curating Empire brought together a series of case studies that used the medium of museums and collections to investigate how global connections, networks and experiences affected people in a range of societies. More recently, Exhibiting the Empire, co-edited with John MacKenzie, explored various cultures of display and their impacts on the representation of the British Empire. I am a fellow of the Royal Historical Society and I sit on the council of the Hakluyt Society. Mcaleer, J. (2018). Captain Cook and the Endeavour voyage. Royal Mail Philatelic Bulletin, 55(12), 42-47. Mcaleer, J. (2016). A global gaze: British artists, landscape spaces, and the wider world in the late 18th century. British Library Online, 1-6. McAleer, J. (2015). “This Ultima Thule”: The Cape of Good Hope, Ireland and global networks of empire, 1795–1815. Eighteenth-Century Ireland, 29, 63-84. McAleer, J. (2014). Plants, patronage and promotion: Lord Caledon’s connections at the Cape of Good Hope. Bulletin of the National Library of South Africa, 68(1), 53-68. McAleer, J. (2013). “That infamous commerce in human blood”: reflections on representing slavery and empire in British museums. Museum History Journal, 6(1), 74-89. McAleer, J., & Longair, S. (2013). Museums, collections and the shifting interpretations of empire. Museum History Journal, 6(1). McAleer, J. (2009). Eminent service: war, slavery and the politics of public recognition in the British Caribbean and the Cape of Good Hope c. 1782-1807. The Mariner's Mirror, 95(1), 33-51. McAleer, J. (2007). Captain Henry Butler in South Africa. Journal of the Butler Society, 4(4), 633-643. McAleer, J. (2004). The sublime aesthetic and nineteenth-century representations of the Victoria Falls. Postgraduate Journal of Aesthetics, 1(3), 124-135. Mcaleer, J., & Rigby, N. (2017). Captain Cook and the Pacific: Art, Exploration and Empire: Art, Exploration and Empire. Yale University Press. Mcaleer, J. (2017). Picturing India: People, Places and the World of the East India Company. London: British Library. Mcaleer, J. (2017). Picturing India: People, Places and the World of the East India Company. Seattle: University of Washington Press. Mcaleer, J. (2016). Britain's Maritime Empire: Southern Africa, the South Atlantic and the Indian Ocean, 1763-1820. Cambridge, GB: Cambridge University Press. McAleer, J., & MacKenzie, J. M. (Eds.) (2015). Exhibiting the empire: cultures of display and the British Empire. Manchester, GB: Manchester University Press. Longair, S., & McAleer, J. (Eds.) (2012). Curating empire: museums and the British imperial experience. (Studies in Imperialism). Manchester, GB: Manchester University Press. Bowen, H., Blyth, R. J., & McAleer, J. (2011). Monsoon traders: the maritime world of the East India Company. London, GB: Scala. McAleer, J. (2010). Representing Africa: landscape, exploration and empire in Southern Africa, 1780–1870. (Studies in Imperialism). Manchester, GB: Manchester University Press. Mcaleer, J. (2018). “Of infinite advantage”: botanic gardens and Britain’s route to the East, 1790–1820. In H. Ekerholm, C. Nordlund, K. Grandin, & P. A. Schell (Eds. ), Understanding Field Science Institutions (pp. 71-97). Sagamore Beach, MA: Science History Publications. Mcaleer, J. (2016). Engravings after Scott and Lambert. In E. Hughes (Ed. ), Spreading Canvas: Eighteenth-Century British Marine Painting (pp. 204-205). New Haven, US: Yale University Press. Mcaleer, J. (2016). Serres, The Taking of Chandernagore. In E. Hughes (Ed. ), Spreading Canvas: Eighteenth-Century British Marine Painting (pp. 228-229). New Haven, US: Yale University Press. McAleer, J. (2015). Exhibiting exploration: Captain Cook, voyages of exploration and cultures of display. In J. McAleer, & J. M. Mackenzie (Eds. ), Exhibiting the Empire: Cultures of Display and the British Empire (pp. 42-63). Manchester, GB: Manchester University Press. McAleer, J., & Huzzey, R. (2015). History, memory, and Britain’s commemoration of Atlantic slave-trade suppression. In R. Burroughs, & R. Huzzey (Eds. ), The Suppression of the Atlantic Slave Trade: British Policies, Practices and Representations of Naval Coercion (pp. 166-188). Manchester, GB: Manchester University Press. Mcaleer, J., & MacKenzie, J. M. (2015). Introduction: cultures of display and the British Empire. In J. Mcaleer, & J. M. Mackenzie (Eds. ), Exhibiting the Empire: Cultures of Display and the British Empire (pp. 1-17). Manchester, GB: Manchester University Press. McAleer, J., & Warrior, C. (2015). Objects of exploration: expanding the horizons of maritime history. In F. MacDonald, & C. W. J. Withers (Eds. ), Geography, Technology and Instruments of Exploration (pp. 97-118). (Studies in Historical Geography). Farnham, GB: Ashgate. McAleer, J. (2014). Displaying its wares: material culture, the East India Company and British encounters with India in the long eighteenth century. In S. Davies, D. S. Roberts, & G. S. Espinosa (Eds. ), India and Europe in the Global Eighteenth Century (pp. 199-221). (SVEC; No. 2014:01). Oxford, GB: Voltaire Foundation. McAleer, J. (2014). Objects of empire: museums, material culture, and histories of empire. In G. Riello, & A. Gerritson (Eds. ), Writing Material Culture History (pp. 249-255). London, GB: Bloomsbury. McAleer, J., & Longair, S. (2012). Introduction: Curating empire: Museums and the British imperial experience. In S. Longair, & J. McAleer (Eds. ), Curating Empire: Museums and the British Imperial Experience (pp. 1-16). (Studies in Imperialism). Manchester, GB: Manchester University Press. McAleer, J. (2012). The case of Thomas Baines, curator-explorer extraordinaire, and the display of Africa in nineteenth-century Norfolk. In S. Longair, & J. McAleer (Eds. ), Curating Empire: Museums and the British Imperial Experience (pp. 17-36). (Studies in Imperialism). Manchester, GB: Manchester University Press. McAleer, J. (2012). 'The immortal Wolfe'? : monuments, memory, and the Battle of Quebec. In P. Buckner, & J. G. Reid (Eds. ), Remembering 1759: the Conquest of Canada in Historical Memory (pp. 29-57). Toronto, CA: University of Toronto Press. McAleer, J. (2010). Thomas Baines: a born artist and explorer. In R. Hanbury-Tenison (Ed. ), The Great Explorers (pp. 72-79). London, GB: Thames & Hudson. McAleer, J. (2008). 'The sharer of my joys and sorrows': Alison Blyth, missionary labours and female perspectives on slavery in nineteenth-century Jamaica. In H. Carey (Ed. ), Empires of Religion (pp. 199-221). (Cambridge Imperial and Post-Colonial Studies Series). Basingstoke, GB: Palgrave Macmillan. Mcaleer, J. (Accepted/In press). Review of Naturalists in the Field: Collecting, Recording and Preserving the Natural World from the Fifteenth to the Twenty-First Century, edited by Arthur MacGregor (Leiden: Brill, 2018). Archives of Natural History. I teach undergraduate courses on a range of themes: the history of the British Empire; exploration, science and empire; the history of museums, collections and collecting. I would welcome enquiries from prospective students interested in pursuing postgraduate research on aspects of Britain’s imperial and maritime history (especially relating to Africa, Asia and the Pacific), the history of European exploration, and the history of museums.